If you are within reception range of a Vision relay station you may be able to listen in on your radio receiver. This isn’t available everywhere, but the number of locations is significant and is always growing. For your nearest site, go to our Station finder page. the type of aerial attached to your radio. Car radios typically have a more sensitive tuner and an external antenna, so they are better able to pick up weak signals than most portable radios. If you can receive a Vision station on your car radio parked outside your home, you can generally also receive Vision inside the building, provided that you have a good radio tuner and an appropriate, correctly installed antenna. Portable radios will only be useful then you are reasonably close to a transmitter. The antenna on many smaller radios is inside the unit, but if there is an external one, fully extend it before moving the radio around the house to find where the signal is strongest, then adjust the angle of the antenna for best reception. Indoor ribbon-type FM antenna - These are often supplied with the radio tuner unit and when correctly installed can be very effective. Outdoor TV antenna - To receive a weaker signal you will need to connect your tuner to an antenna designed for reception of TV channels three, four and five. Install the antenna on the outside of the building with the bars in a vertical position. Increasing the number of bars on the antenna improves its ability to receive a weak or distant signal. Point the antenna in the direction of the transmitter and use RG6 quadshield coax cable to connect to your radio receiver. Listen online (take care about your data usage, however). Tune in via the VAST satellite system (channel 614). Buy a radio that covers the bandwidth needed. We’ve had success with cheap radios from eBay (make sure the FM goes down to 87.6 FM and the AM up to 1692 AM, depending on your locality). PLL synthesized tuning system with 10 memory presents and automatic station search. The manufacturer says the radio is 'ultra compact and good for travelling'. It can use both rechargeable and standard alkaline batteries. 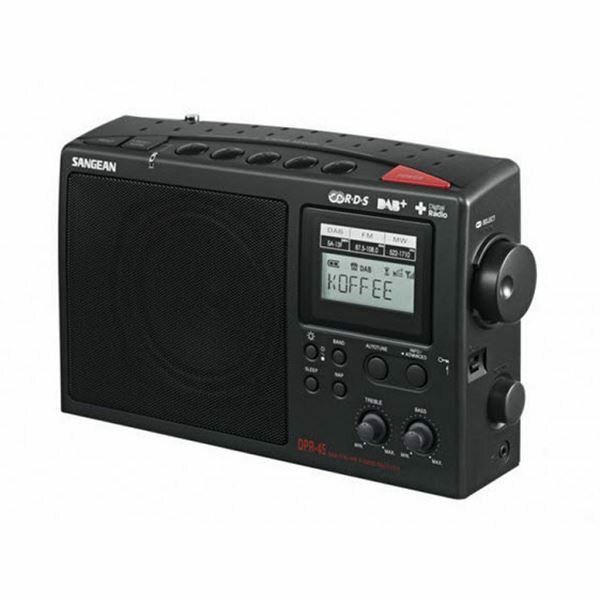 More expensive than the PR D7, this has a three-band tuner accessing AM, FM (with RDS) and DAB+ digital radio. It also comes with an alarm timer and a sleep timer and includes a device to autoscan for stations. an antenna will generally NOT eliminate radio static. the telescopic antenna on a portable AM/FM radio has no effect on AM reception. Portable radios have an internal antenna - try turning the body of the radio in different directions to improve reception. receivers that are part of a stereo system usually come with an AM broadcast “loop” antenna. Attach it to the AM terminals on the back of your receiver. Turn the antenna in different directions until optimal reception is obtained. The key to extending the reception range of an AM broadcast is to improve the quality of the antenna. If you need one, there are a wide variety of higher quality antennas available on the market. Turn off the offending device. 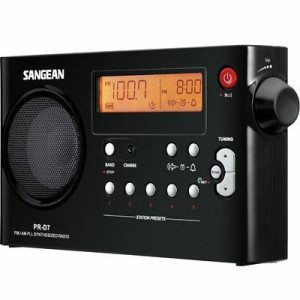 Try a battery operated radio to see if the interference is coming in from the AC 240v line or through the air or both. Turn off the circuit breakers one at a time to see if the noise stops. If it does, than you know it is something in your house and you’ll know which circuit it is on. Use a battery-operated radio as a direction finder. Turn it until the noise is loudest and the front or the back of the radio will be pointing toward the noise origin. Carry a radio around the neighbourhood and see if you can find the origin of the noise. Ask your neighbours if they have problems with AM radio noise. If a power pole is suspected, call the power company and they will check the area and possibly clean the insulators. Dirty power pole insulators are sometimes a cause of difficult to find radio interference. 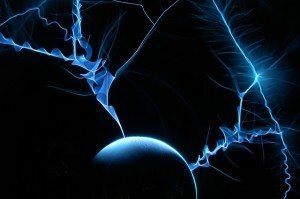 If you have a hum in your receiver from AC noise, sometimes grounding can reduce the hum greatly. Tune in via the VAST satellite system (channel 613).